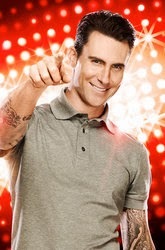 For the first time this season, The Voice was live with the Top 12 performing. The coaches no longer decide which artist goes home... the choice is now yours. By voting and downloading, the viewers are in control of each artist's fate. 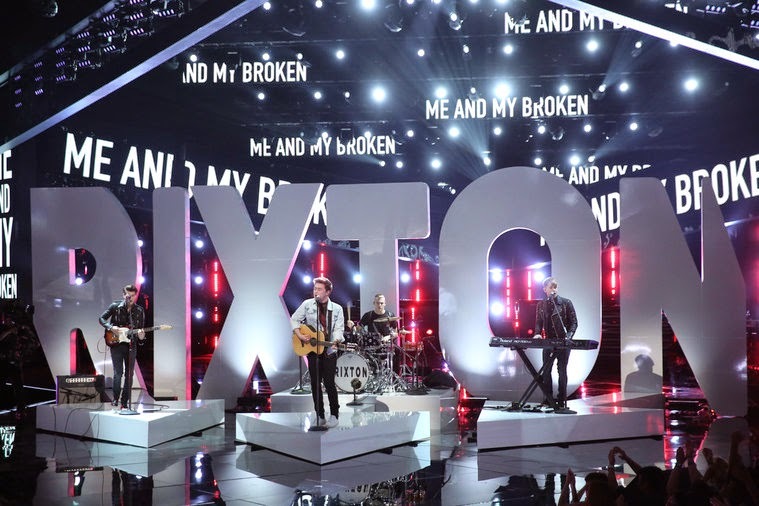 Last night twelve performed for your votes, but only ten advance to next week. Normally when I do a recap for a live show, I have a definitive favorite and can easily come up with my Top Three performances for the night... not so much this time. I could probably come up with my Top Seven or Top Eight – everyone was just really good last night. 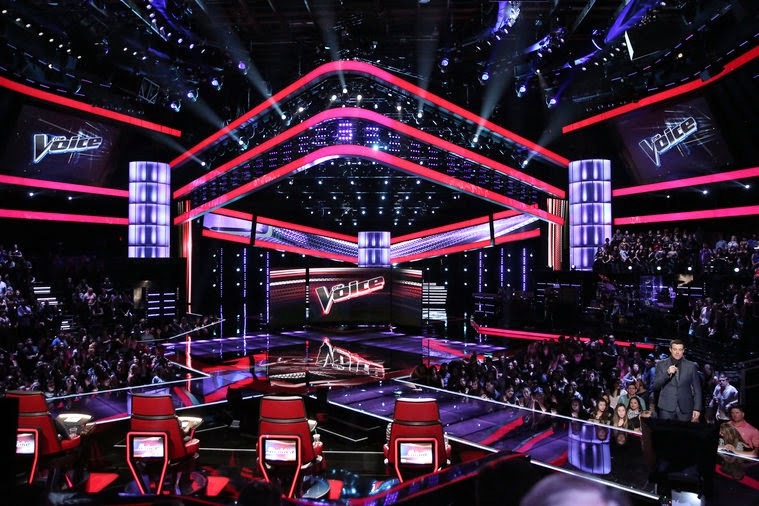 With the exceptional talent The Voice has attracted this season, I do not envy the coaches in having to make the incredibly difficult decisions about who goes to the Live Shows and who gets sent home. Every one in the Top 20 is amazing and will have a great career in music. Honestly, I usually don't have a problem making predictions. For the most part, it's pretty clear, but not this time. All the artists, in their own ways, and in their own styles, are very talented, but... let's do this. Adam's has a remarkably strong team, and these picks were hard to make, because I really like all five artists. They're all a little different. They're all great to watch, and they're all amazing vocalists. I'm almost certain Kat Perkins will go through. I'm fairly sure Jake Barker will advance, but I'm torn by the other three. I'd like to see Delvin Choice make it to the Live Shows, but I think Adam's going to take Christina Grimmie. I think Shakira's team is the most diverse when it comes to style, so her picks will come down to which direction she wants to go for the Live Shows. Dani has a great voice. 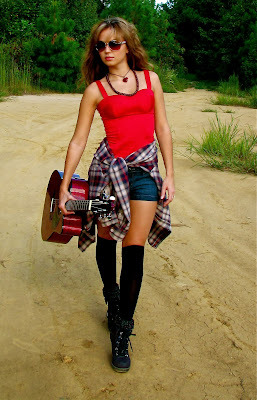 Kristen Merlin has an amazing country tone and presence. Deja Hall's vocals are soft and captivating. Tess Boyer is a growing powerhouse, and Patrick Thomson surprises me each time he takes the stage, it's really more of a guess which direction Shakira is going to go. 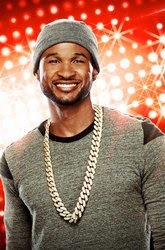 Usher also has a rather diverse pool of talent on his team. T.J. Wilkins has a strong R&B vibe. Bria is a powerhouse. Stevie Jo came out of nowhere after his one-chair-turn during the Blind Auditions. Melissa has a strong presence on stage. And, Josh has a unique tone. I'm sure about Stevie Jo. I'm kind of sure about T.J. Wilkins, and the third one will be either Melissa or Bria, and, honestly, I can't decide. I think that decision will come down to their song choices, but I am leaning more towards Bria making Usher's Top 3. Tune in this Monday and Tuesday to NBC as The Playoffs continue. The Final Battles played out last night. Twelve very talented artists fought hard, and all seven of the artists I predicted to advance did move on to the Playoffs. Five battles predicted correctly, and one battle, where I said Blake would use his steal, I got the Win and the Steal flipped. Everyone did an amazing job last night, and they all showed us how talented they really are. I've become a fan of many of them will continue to follow and support their sure-to-be-growing careers. Here is the recap and results of last night's Final Battles. One of the biggest nights for country music, and Luke Bryan and Blake Shelton will co-host the broadcast. Along with the prestigious awards to be handed out, there will be amazing performances from some of the biggest and best country music artists out there - Dierks Bentley with Sheryl Crow, Brad Paisley, Jason Aldean, Hunter Hayes, Miranda Lambert, Lady Antebellum, and more. The Band Perry will open the show (which will be phenomenal), and Shakira will perform her new duet with Blake Shelton (looking forward to that one). Though I look mostly forward to the great performances, the awards are kind of special too. So, here are my predictions for the some of the awards to be presented. You should know that this year, the New Female, New Male, and New Vocal Duo/Group of the Year awards have be consolidated into a single award: New Artist of the Year. Nominated: Blake Shelton "Based on a True Story..." - Luke Bryan "Crash My Party" - Florida Georgia Line "Here's to the Good Times" - Kacey Musgraves "Same Trailer, Different Park" - Tim McGraw "Two Lanes of Freedom"
Predicted Winner: Kacey Musgraves "Same Trailer, Different Park"
Tune in tonight at 8/7c on CBS for on of the most entertaining and exciting nights in country music! Monday on NBC, the Battles Round 2 conclude with the final six battles. Of the twelve remaining contestants, seven more will move on to the Playoffs (six winners and Blake's steal). For the most part, the remaining pairs are pretty matched and are all great talents in their own styles, and without the song choices (that was closely guarded) predicting the outcomes of the battles is somewhat more difficult. But, here is the list of battle pairs, and my best guess as to who will win and who Blake will steal.